Parents of children with cystic fibrosis (CF) are at risk of depression and anxiety symptoms, yet, they are an under-researched group. This national cross-sectional study investigated the prevalence of anxiety and depression in parents of children with CF, and examined the associations between these symptoms and their child’s physical health and quality of life. A total of 203 parents of children attending nine paediatric CF clinics across Ireland filled out a questionnaire pack containing: a background information questionnaire; the Hospital Anxiety and Depression Scale (HADS); the Centre for Epidemiological Studies Depression Scale (CES-D); and, the Cystic Fibrosis Quality of Life Scale—Revised Edition (CFQ-R). According to the HADS, 38% of parents had elevated anxiety and 12% had elevated depression symptoms. Just over a fifth (20.7%) had elevated depression symptoms on the CES-D. 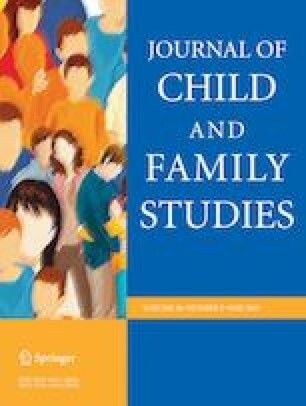 Mothers had significantly higher levels of anxiety than fathers. There were statistically significant negative linear correlations between parents’ HADS anxiety and depression scores and their child’s pulmonary function, and between parents’ HADS anxiety and depression scores and their child’s quality of life. These results indicate that parents are at risk of depression and anxiety symptoms, and that these are associated with the physical health and quality of life of their child with CF. The findings support the need for parents to have mental health screening annually in CF services, as recommended in international guidelines. There is also a need to integrate a family-centred approach into CF services with appropriate supports and mental health referral pathways for parents. The authors wish to thank all the parents who participated in the study as well as the CF multi-disciplinary teams who assisted with access and data collection. This study was jointly funded by Cystic Fibrosis Ireland and the Health Research Board of Ireland (Ref no. : MRCG/2011/9). The funders had no input into the data analysis, the interpretation of the results, the dissemination of findings or the compilation of this document. J.C. prepared for ethical approval, negotiated access, collected data, conducted analysis, interpreted results, and drafted the manuscript. A.M.H. offered insights into mental health screening and contributed to interpretation of the results. E.L. supported data analysis and interpretations of the results. B.H. prepared for ethical approval and collected data. A.J.D. & K.A.R. contributed to the design and application for funding, offered critical insights into mental health screening, contributed to interpretation of the results and edited the manuscript. I.J.P. & A.P.F. contributed to design, application for funding, data analysis and interpretation of results. M.Ni.C. contributed to design and application for funding. E.S. designed the study and applied for funding, prepared for ethical approval, negotiated access and drafted the manuscript. All authors have read, edited, and approved the manuscript. The authors confirm compliance with ethical standards. All procedures performed in the conduct of this study which involved human participants were in accordance with the ethical standards of the institutional research committee and with the 1964 Helsinki declaration and its later amendments or comparable ethical standards. All parent caregiver participants were provided with an information leaflet and gave their informed consent prior to participation. Ethical approval was obtained from the Research Ethics Committee affiliated to University College Cork.